The mobile version of Player Unknown’s Battlegrounds, a massively popular battle royale game that’s available on PC and Xbox One, has soft launched in Canada on Android and iOS. The game, which was developed by Lightspeed and Quantum Studio and published by Chinese company Tencent, is currently available to download in the Canadian Google Play Store. Bluehole, PUBG’s original developer, claims to have supervised the development of the mobile version of the game. The news was confirmed this morning on PUBG Mobile’s official Facebook page. Similar to the PC and Xbox One versions of the game, PUBG Mobile supports up to 100 players per match. Combatants are dropped into an 8×8 km map and tasked with finding weapons, vehicles and various upgrades, with the ultimate goal of being the last player left standing. PUBG Mobile was first announced back in December but only for the Chinese market, with hints that the title could eventually make its way to North America. A Canadian soft launch for the game likely means that a U.S. release is coming at some point in the near future. This announcement comes shortly after publisher Epic Games revealed that Fortnite, another popular PC and console-based battle royale game, is making its way to mobile devices. The game is soft launching in beta on iOS this week with an Android beta soon to follow. Unlike PUBG Mobile, the mobile version of Fortnite is cross-play compatible with PC, Mac and PlayStation 4. The Xbox One version of the game is also cross-play compatible with PC, Mac and mobile, but unfortunately not the PlayStation 4. I quickly jumped into a PUBG mobile game and was surprised at how faithfully the game recreated its console and PC counterpart. 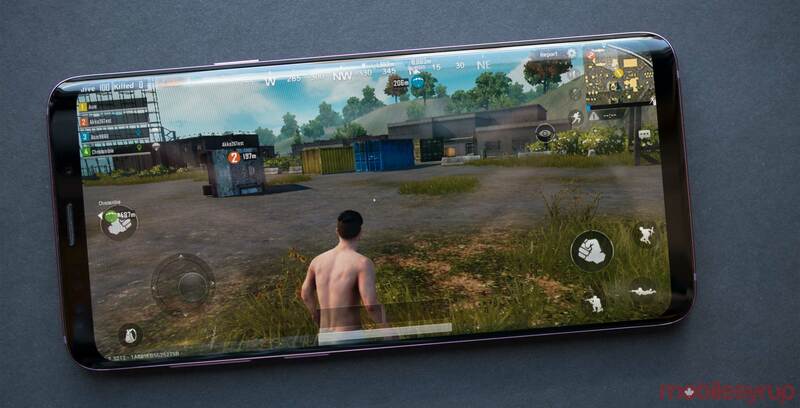 Even from a visual and technical perspective, PUBG Mobile even ran relatively solidly on the Samsung Galaxy S9+ we have at the MobileSyrup office. Controls, which are handled by an on-screen joystick and buttons, were a little finicky given the size of the display, but overall my early impressions of the game are positive. You can find PUBG Mobile in the Canadian Google Play Store and the iOS App Store. Update 19/04/2018: PUBG Mobile has left beta and is now available in various regions around the world on both iOS and Android.